Cervélo is renowned for its engineering-driven approach to building the world's fastest road, triathlon, time-trial and track bicycles. 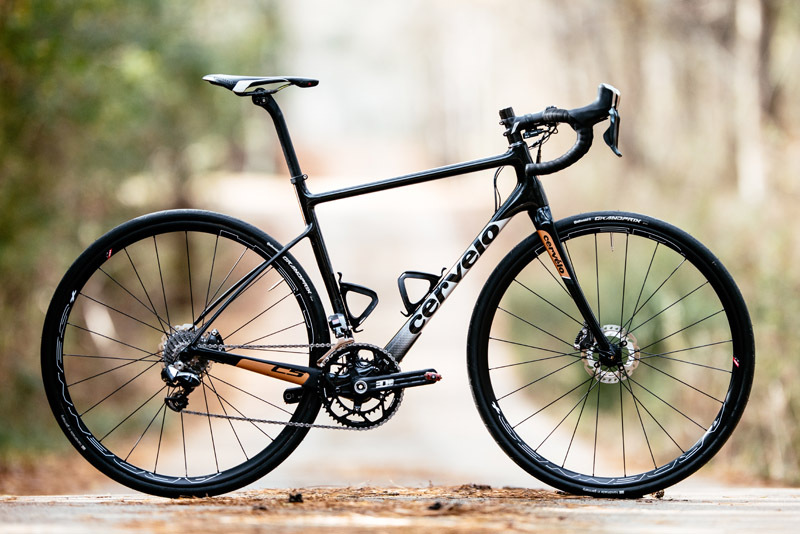 Now, with the launch of its first all-new series in a decade, that approach has evolved to include the ultimate endurance road bike: The C5. "With long-distance rides like gran fondos exploding in popularity, we feel there's a great opportunity to offer true Cervélo-engineered endurance products to an expanding community," explains senior product manager Phil Spearman. "There's a real need for a fast, ultralight bike that's easier to ride on a variety of road surfaces and in a broad range of conditions." • At 850 grams with paint and all small parts, the C5 is the lightest endurance road bike on the market today. • The American-manufactured Project California fork, single-piece rear triangle and extraordinarily curved seat-stays balance lateral stiffness with comforting vertical compliance. • Moving the BB closer to the ground lowers the bike's centre of gravity, improving stability and handling. Longer chainstays, a shallower headtube angle and additional fork rake all increase trail, while extra tire clearance allows for a wider range of tire sizes and room for a fender. All of this also produces an exceptionally stable, smooth and reliable ride. • The lower BB drops the rider relative to the handlebars. Combined with a taller fork, this adds up to 22mm in frame stack without exaggerating the headtube, yielding more versatile fit options. • The flat-mount disc-brake standard ensures compatibility with virtually all commonly used calipers and rotor sizes via adapters, and through-axles improve alignment and eliminate the risk of accidental wheel dropouts for maximum safety. The countless hours of research, planning and testing that have gone into the C Series are reflected in its compelling potential. "There are millions of kilometres of unpaved roads just waiting to be explored, but you need the right bike," Spearman points out. "After all, the nicest road are not always the nicest roads." The C5 is available with Dura-Ace Di2 9070 and Dura-Ace 9000 11-speed groupsets featuring Ardennes Plus LT Disc wheels and Rotor 3D+ BBright cranks. 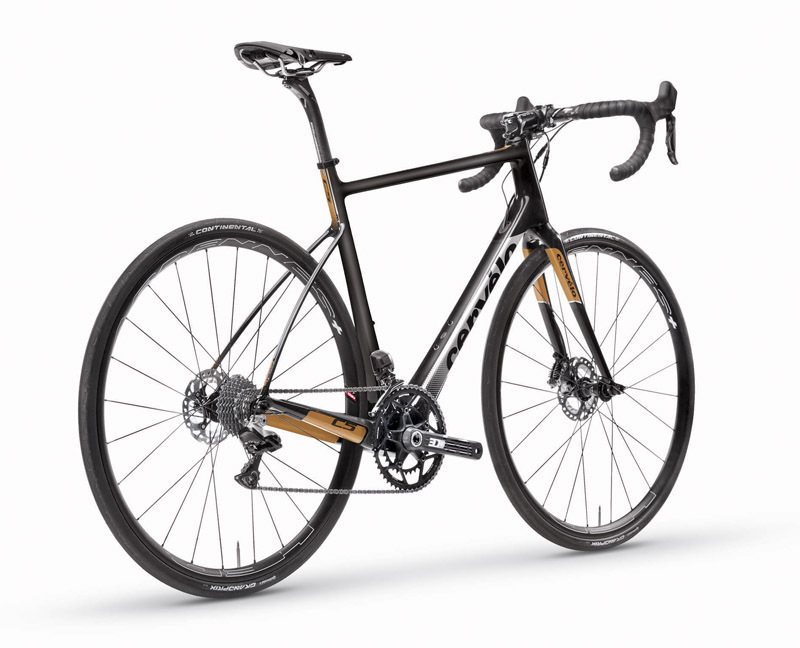 Recommended Canadian retail pricing for the full-dress Dura-Ace Di2 build is $9,500, with availability in January 2016. The 9000 (mechanical Dura Ace) version will retail for $7,500, and the C5 frameset will sell for $4,900. The C3 will be available in Spring 2016, with Ultegra Di2 6870 ($5,500), Force 1X ($4,500) and Ultegra 6800 builds starting at $4,300. The C3 frameset will retail for $2,300.